Home prices are through the roof, pun intended. If you are planning on selling your home in the near future, take some time to consider the integrity of your roof. 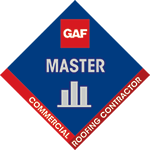 Have a professional roofer perform a thorough inspection of your roof before you list the property. This way, you can have the roof cleaned, repaired and possibly replaced before the time comes to put your home up for sale. A home with a recently repaired or replaced roof will fetch a much higher price than a home with a faulty or unsightly roof. Consider the perspective of a potential home buyer who is looking for a house that he will reside in for at least the next couple decades. You check out a variety of homes and weigh their pros and cons. One of the glaring weak points that particularly sticks out is a faulty roof. Would you purchase a home with a roof that requires significant roofing repair, a comprehensive cleaning or a full replacement? You might float out an offer but it probably won’t be anywhere near what the seller is asking for. This is exactly why you need to repair or replace your roof before putting your property up for sale. 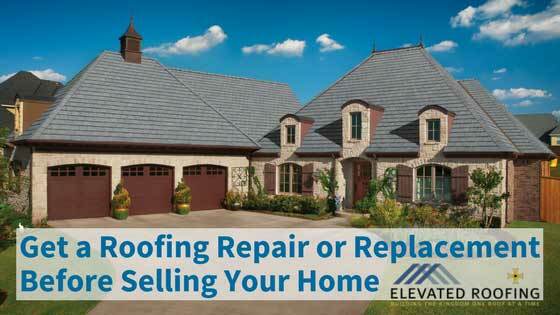 Once your roof is in tip-top shape, you can use this improvement as a powerful selling point. Such a roof repair/replacement might even inspire prospective buyers to get into a bidding war for your home. In the end, the investment in roofing repairs or a brand new roof could end up paying for itself through a much higher selling price. Though you might detest the idea of shelling out more than $10,000 for a brand new roof, the statistics show you will get plenty of this money back when you sell your home. Remodeling Magazine reports the addition of a new roof boosts the typical home’s resale value by an average of just under $12,000. All in all, those who install new roofing will recover nearly 63 percent of the total installation cost. This money is recovered by the corresponding rise in home value. These facts show that new roofing and roofing repairs are more important in the context of return on investment than adding a backup power generator or installing a bathroom. Imagine potential buyers rolling up to your home, getting out of their cars and looking at your property. Their eyes move from the front door to the windows and on up to the roof. If your roof is old, outdated, worn or unsightly, it will make a terrible first impression on prospective buyers. Have your roof cleaned, repaired or replaced and the refreshed appearance will serve as quite the important selling point. This is especially true of architectural-grade asphalt roofs with nuanced color and texture options. Premium grade asphalt shingles are especially helpful in your quest to boost your home’s marketability as they have warranties lasting upwards of half a century. There are even some types of green roof technologies that have the all-coveted ENERGY STAR rating. Such asphalt roof shingles are engineered to reflect the sun’s blazing hot rays and subsequently decrease cooling costs. Every house that goes on the market will garner the scrutiny of a professional building appraiser and inspector. Every contemporary home buyer demands such an in-depth analysis of a house before shelling out his hard-earned money for the property. If your roof is in bad shape, the appraiser and inspectors will take note. They will pass on this information to prospective buyers. As a result, some would-be buyers might put the brakes on the offer they have been preparing. Don’t let this nightmare become your reality! Repair or replace your roof before putting it on the market and you will have one less stumbling block in the way of a potential sale.